General information: The culmination of a store house tour is the Gravity Bar atop the brewery. Panoramic views of Dublin from all sides. And Guinness, obviously. I absolutely loved the Guinness storehouse tour and my time spent in the gravity bar was some of the happiest I had in Dublin. I thought the Guinness was excellent and, disagreeing with some of the comments from other posters, I only encountered one person in the whole Guinness building who wasn't Irish, and she was the person on reception as we arrived. Definitely worth doing the tour. If you want more than a pint, though, there aren't many seats, so get your freebie in the Gravity Bar, then go a couple of floors down where you can sit and drink in comfort. Great views, could do with a slightly better layout seating wise. Did the tour last month. �15 now. On the 5th floor there is a bar where you can pour your own Guinness, with the help of a Filipino girl who uses scripted instructions to guide you through the process. Although she was pleasant I would have thought that a true Dublin barman with a local wit and sense of humour would have provided a more genuine experience. I did enjoy the pint I poured for myself. Two floors up in the Gravity Bar I was taken by the views and saw a city I now quite well in a different light. But I have to disagree with some of the posts below. The Guinness here was ok, but far from the best I've ever drank. Again there were no local barstaff serving behind the bar. I found this disappointing, not because I have anything against foreigners doing a good job, but surely in Dublin's busiest tourist attraction those of us who pay admission to the place can expect to meet some of the people who's city made Guinness the institution it is today. Would anyone visiting the Tower of London be impressed to meet Beefeaters with Italian, German, or Latvian accents. As for the tour of the storehouse, I wouldn't put anyone off seeing it. It is a good 21st century museum with audiovisual displays housed in a beautiful early steel framed building. (The first of its kind in Europe). While I'm here, tomorrow is Arthur Day, when Guinness celebrates it's 250th birthday around the world. I'll no doubt raise a glass somewhere at a minute to 6. (17.59). 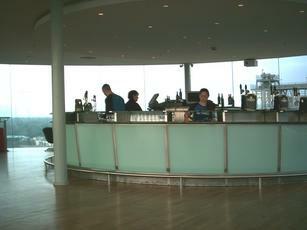 The Storehouse is an interesting and informative tour which leads you to the Gravity Bar. The presentation has moved on in several areas since my last visit, however the one area which is lacking is the advertising section. The gwince was OK but not the best I had over the weekend....I gave up looking for anything else that may be worth drinking. Oh dear. Yes, the views are great but the beer is shameful. This bar only serves the the (free) pint of watery Guinness gloop that has been pumped full of nitrogen and forced through a sieve to get the "surging" and "creamy" experience. Not only that, it was pretty bland (as in blander than almost everywhere else in Dublin). I went to the downstairs bar and had a bottle of Guinness Extra Stout and Guinness Foreign Export instead which is REAL GUINNESS and not laced with chemicals and articifical taste. Guinness, a stout for people who don't like stout.